Well, it is the last day of 2012 – what a fantastic year it has been with the Olympics, the Paralympics and the Queen’s Diamond Jubilee. And on top of all that I managed to add 827 posts to my site in the past 12 months. Not all written by me, I admit, as I did have the excellent support of some guest bloggers who appear in my “Articles” section – thanks to all of them for their support in the year. But what did you like the most? Which posts did people read more than others? The results are in and as you will see, some of them date back a couple of years, showing that blog posts have a long lifetime if they are good. When Did The World Wide Web Start? What is The Best Blogging Software to Use? This is an interesting mix of items which received the highest readership this year. So, what was the least popular item you might ask? Actually, that’s an item I only added to my website recently and which I haven’t yet publicised. So by mentionining it here it might well appear in theTop 10 of 2013…! 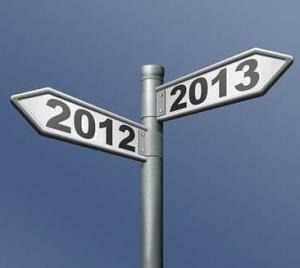 Have a great 2013 – Happy New Year. Thanks Paul – great list on your site too.